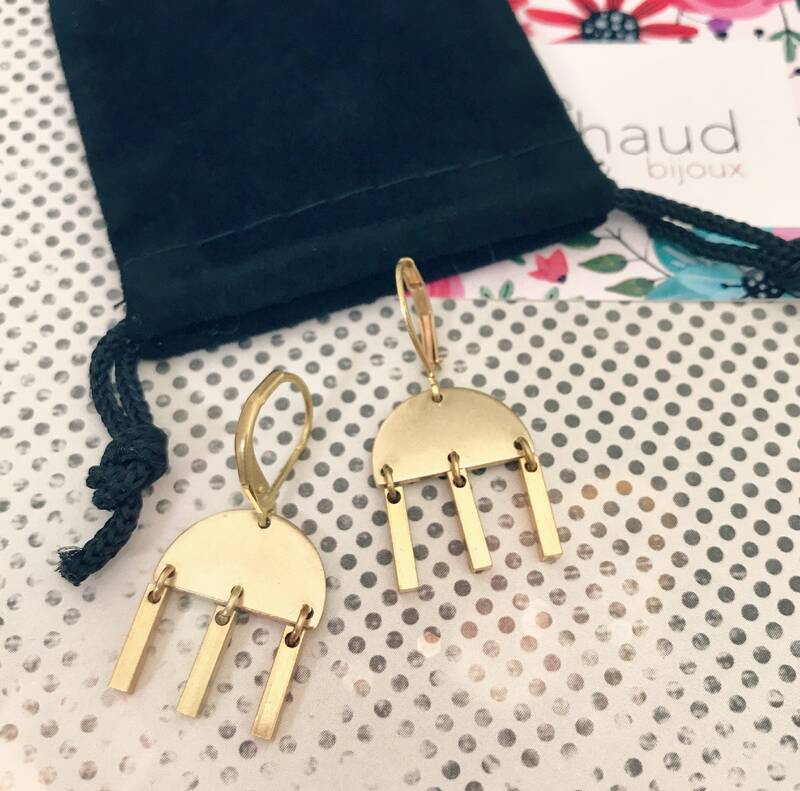 Modern and trendy golden color earrings made entirely with brass components and hooks. 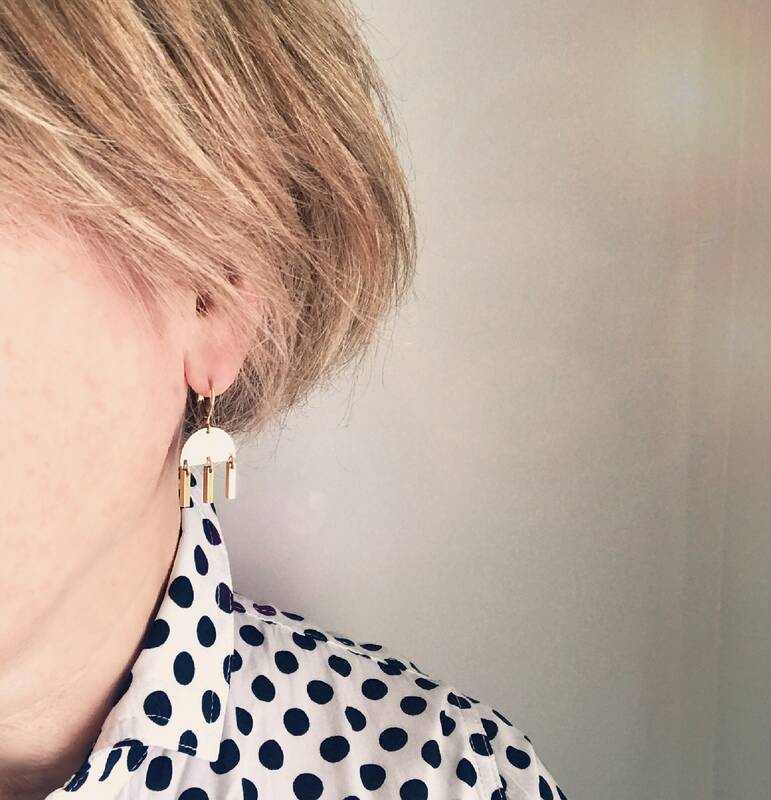 These small and light earrings will look absolutely amazing all year long and on any occasion: for the office, during the weekend or for a night on the town. They will also make a great gift for women of all ages and teenagers! Each components is raw brass. It will get darker with time. 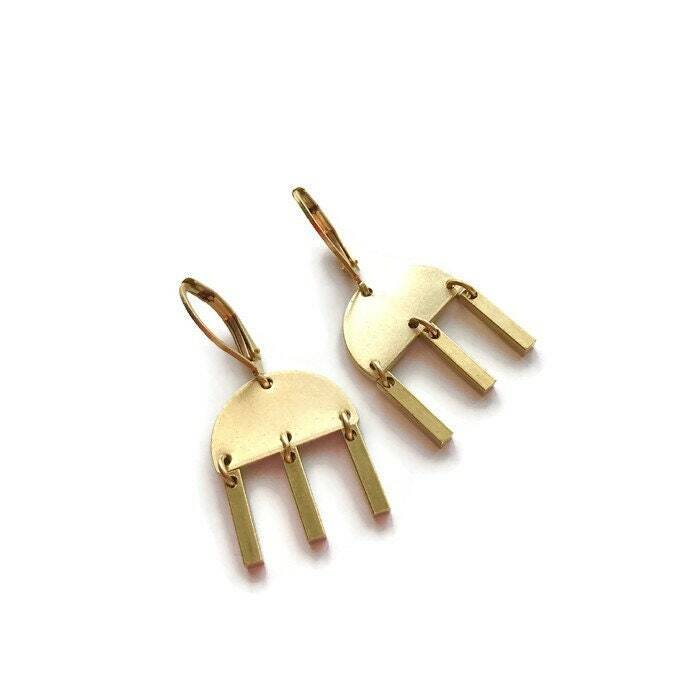 You can either let the earrings get a vintage look or clean them with tooth paste and they will keep their beautiful golden color. Simply put just a little tooth paste on your fingers and rub your brass earrings. Rinse them thoroughly and dry them carefully. Total length (including hooks): 3.5 cm or 1 3/8 inches. Nickel, lead and cadmium free.